AFP has partnered with MindEdge, a leading online education provider, to bring you courses in fundraising, nonprofit management, marketing, business ethics and human resources at extremely affordable prices. Some courses offer CFRE credit. • New AFP’s Diploma in Fundraising You're a fundraiser and you know the fundamentals - but you need to take that next step. Don't just settle for fundraising as your job, make it your CAREER. 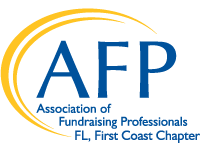 If you are hungry for that management role or that professional credential, stop putting your continuing education off – register now for AFP's Diploma in Fundraising. For more information, please contact the Professional Advancement Coordinator - Direct: 703.519.8494 or Toll Free: 800.666.3863; Email: ProfessionalDevelopment@afpglobal.org.